Hello! We’re so excited you’ve joined us. Below are a few simple notes on how to get started with Cooking Club. If you have any questions, please send us a message through the form below. How often is Cooking Club updated? Where can I find a previous week's recipes? Is there a list of favorite dressings or sauces from Cooking Club? 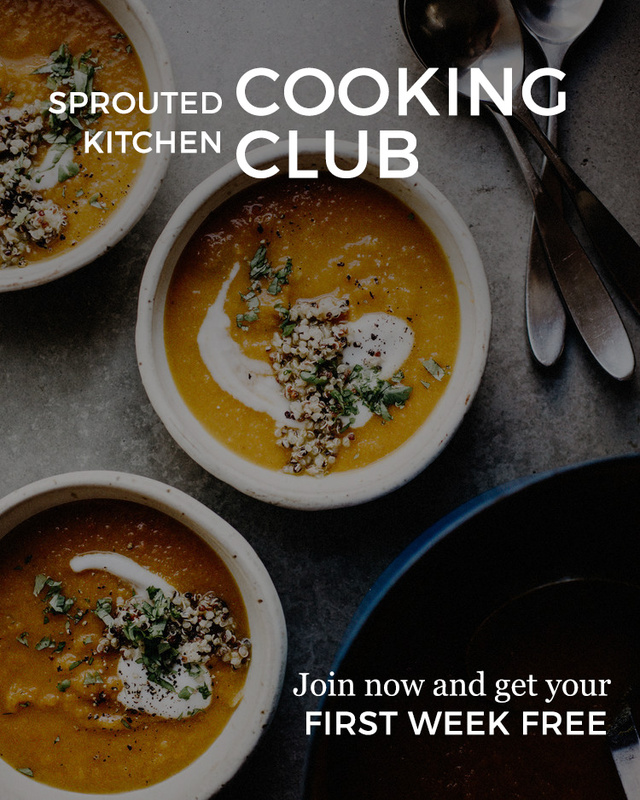 Can I give a Cooking Club membership as a gift? New weekly plans are published every Friday morning (PST). Use the Recipe Options button to strike any recipe you’re not planning on making and the grocery list will update accordingly. Checkmark the items on the grocery list you already have, don’t want or need, then click the “Hide Checked Items” button to simplify your list to just the necessary items. You can also use the “Additional Items” field at the bottom to add specific items to your list. Be sure you’re managing your grocery list on the device you’ll bring to the store with you, as the list doesn’t sync across different devices. Where can I find previous week’s recipes? All of the weekly content dating back to the beginning of your membership is available on the My Archives page which is accessible from the main navigation. You can also search through the recipes and mark your favorites there. Watch the video below for a walk through of the Archives. Is there a list of favorite dressings and sauces from Cooking Club? There is. Check the Cooking Club Sauces & Dressing Index for go to condiments. You’ll find a link in the main navigation. Absolutely! You can gift 6 or 12-month memberships. Gift cards are available from the Shop. You can manage your subscription and personal information by clicking on the “My Profile” link in the main navigation menu or in the popup login window. Send us a message through the form below and we’ll get back to as soon as possible.